Earn Nojoom Points by shopping at Qgrabs.com! Upon purchase of products/services, on the payment page below the order details, ‘tick’ the check box with the dialogue (Are you an Ooredoo Nojoom member? ), then enter your Qatar ID Number and complete the purchase. Nojoom points will be added to your account within 30 to 60 days from the date of purchase. Nojoom points earned will be deducted if purchases are then refunded. Once the code is validated, you will be able to use the store credit amount against purchases made on Qgrabs.com! Store Credit is non-refundable and non-transferable and cannot be cashed. 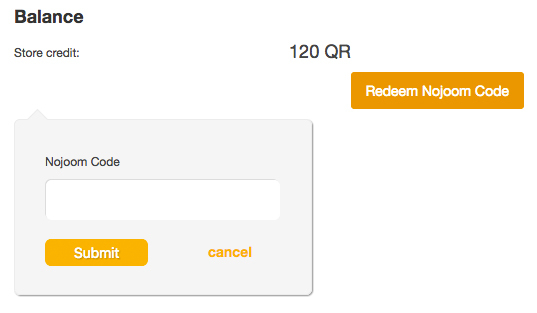 Earn & Redeem Nojoom Points by shopping on Qgrabs.com.